Added on November 13, 2017 by J.D. Magers. Street Photography is becoming more and more of an interest to me. I captured this image while waiting for the subway in Vienna. 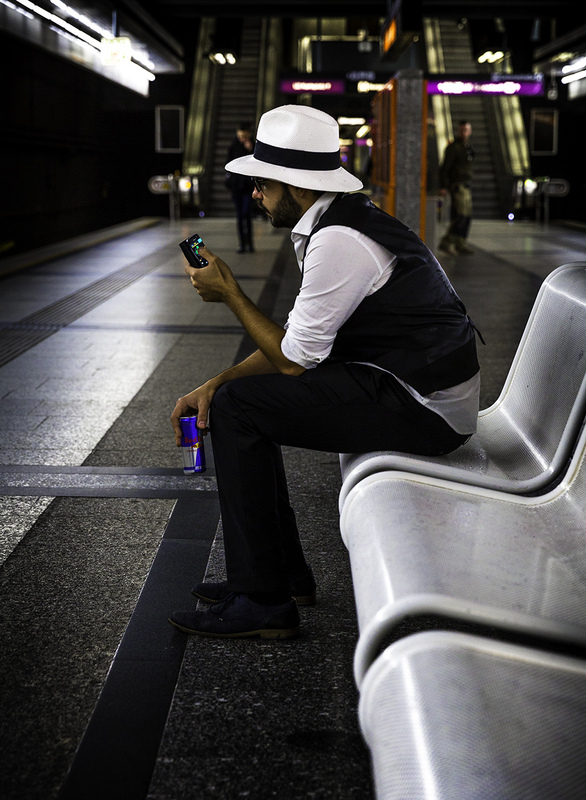 I like the way this gentleman is casually going about his business, while holding the Red Bull to provide energy for whatever activity waits on the other side of the train ride.